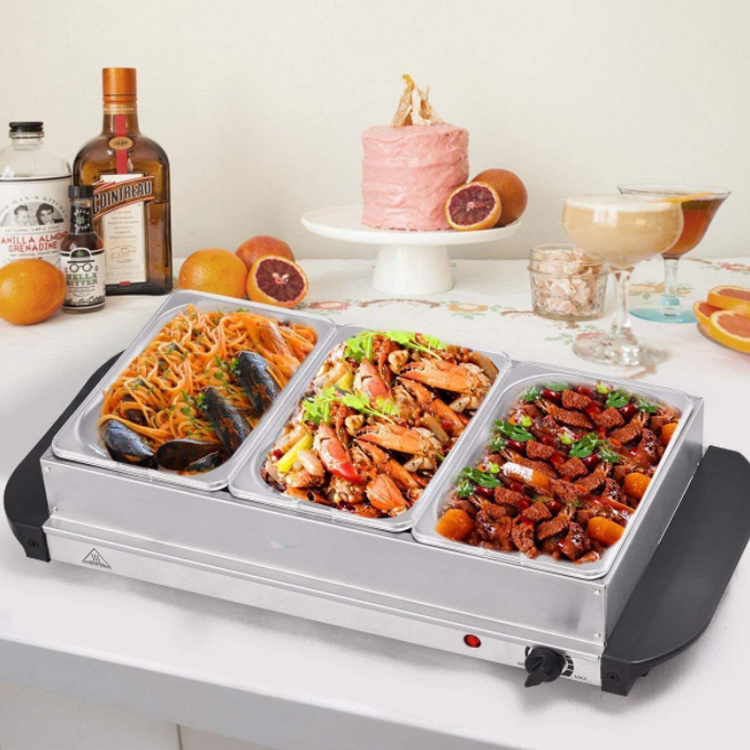 Serve up a delectable assortment of appetizers with the help of this electric triple Buffet Server. Temperature controls offer variable heat settings. Dome lids with spoon cutouts make serving a cinch. Cool-touch handles ensure safe use. Power indicator light lets you know when unit is on. Base also functions as a flat warming tray. 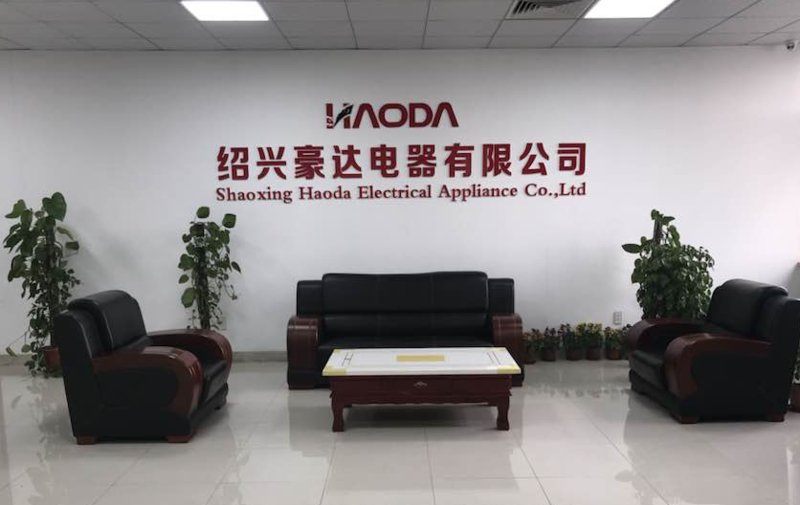 Shaoxing Haoda Electrical Appliance Co.,Ltd is a professional manufacture of Electric BBQ Grill,hotplate,buffet warmer,Infrared Ceramic Cooker,Deep Fryer & Healthy Teapot etc. Haoda is located in Shaoxing city,Zhejiang province.It is on the side of 329 country road and the railway from Shanghai to Ningbo.It is about 20 minutes by car from Hangzhou Airport.Transportion is very convenient. Haoda has a large and standard workshop which covers an area of over 25000 square meters.It employs staff of more than 300.It has professional,well trained technologist and experienced engineers.It possesses the advanced equipments of automatic production lines,automatic inspection system as well as 30 sets of new technologically machinery.The quality control of products is reliably guaranteed.We have ISO9001,BSCI approvals for our company,also we have GS,ETL,SAA,CE,CB,ROHS,LFGB,DGCCRF,ERP,FDA,CCC approvals for our products. Our products are exported to all over the world.Haoda has already obtained the export & import license. Welcome to make business partners partners with you from different parts of the world,we believe we can have a good cooperation with each other. 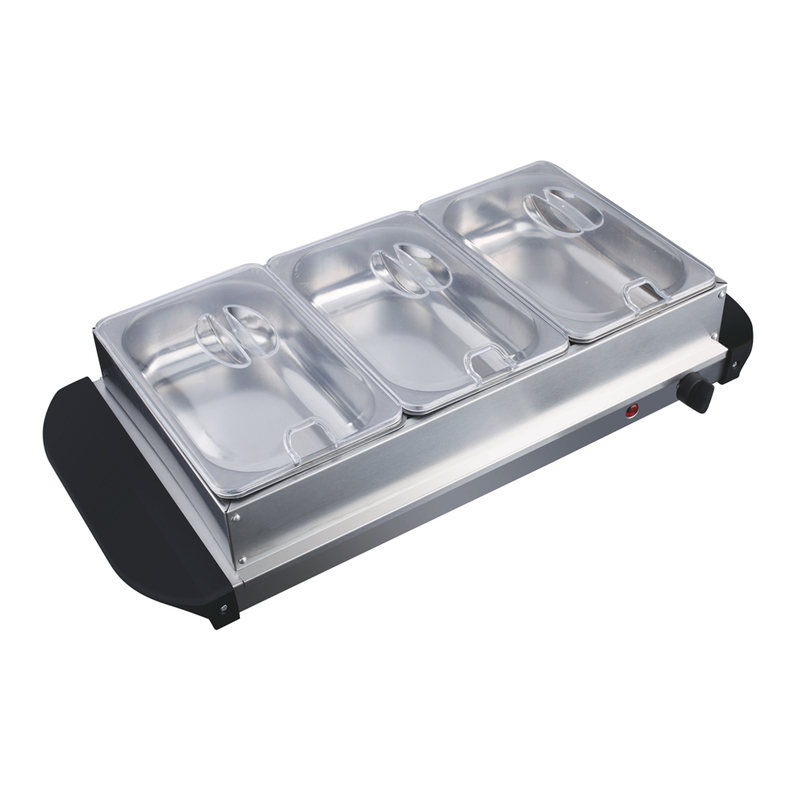 Looking for ideal Stainless Steel Electric Triple Buffet Server Manufacturer & supplier ? We have a wide selection at great prices to help you get creative. 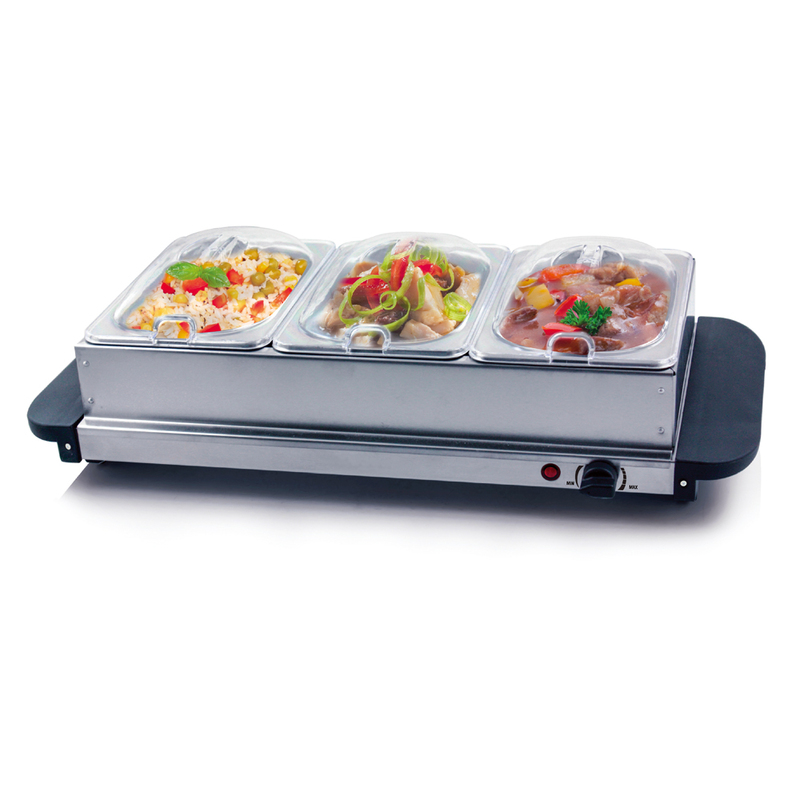 All the Stainless Steel Buffet Server are quality guaranteed. 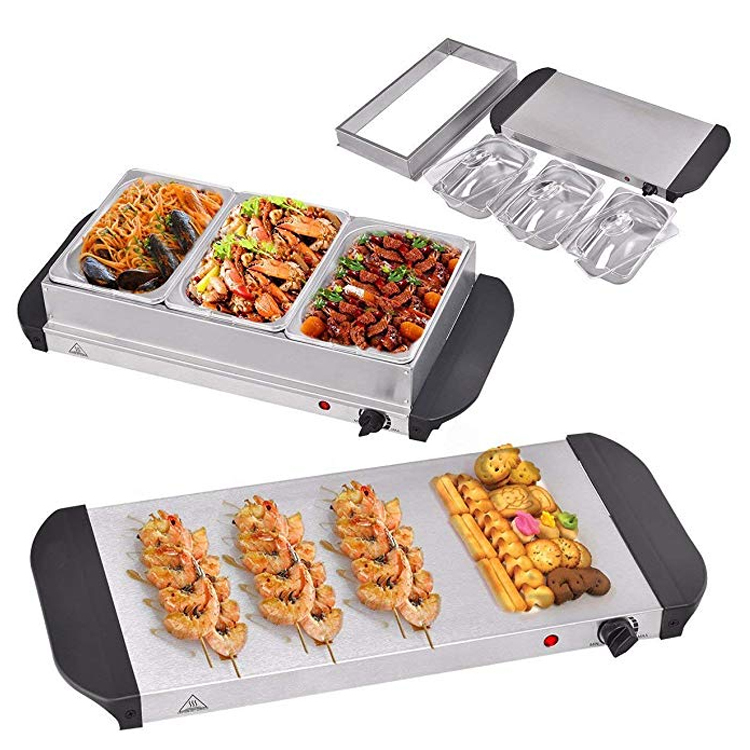 We are China Origin Factory of Buffet Food Server. If you have any question, please feel free to contact us.